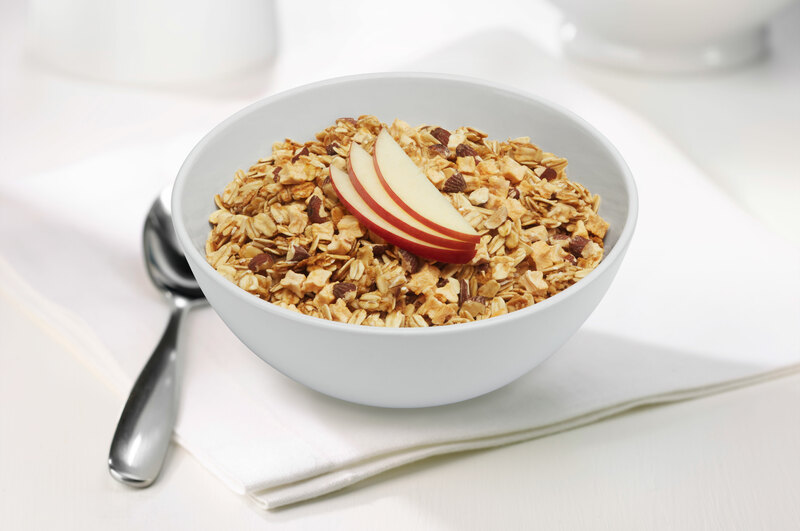 Take just one bite of our Apple Almond Honey granola and you’ll be hooked! 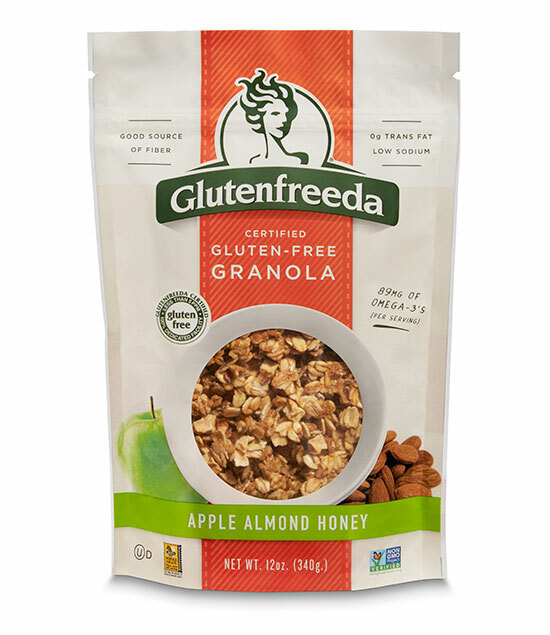 This delicious granola combines the crisp crunch of apples and roasted almonds with the wholesome goodness of certified gluten-free oats, sunflower and flax seeds to create the perfect granola; delicious, nutritious and very, very nice. 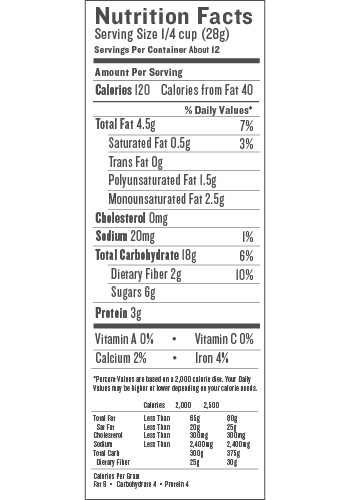 Certified Gluten-free oats, almonds (almonds, canola oil and/or safflower oil), brown sugar, organic honey, apples, canola oil, flax seeds, contains less than 0.5% vanilla extract and cinnamon.